Balayage “kissed by the sun”, a French word meaning to sweep or to paint. Balayage is all about creating the sun-kissed gold tinges in your hair, the fresh off the beach look. 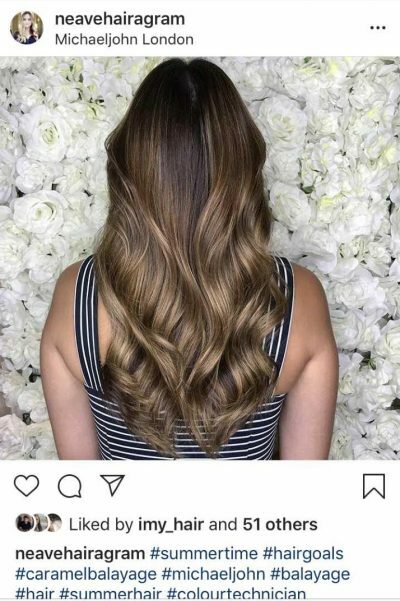 Balayage is a highlighting technique where the colourist will take piece of the hair and hand paint them against a backing board with a lightening agent. The technique will add depth and dimension to your hair. As winter approaches, and the beach becomes a distant memory, putting some colour back can be a great way of beating the winter blues. Balayage is now the most popular hair colour treatment in the UK. It’s low maintenance and its worn by chic celebs and A-listers, from Alexa Chung to Rihanna. Feel like you have just walked off a beach in the Maldives. Balayage is a more natural look than a full colouring, and gives a healthy-looking sheen to your hair, which can be worn subtle or bold, it is entirely down to you! The colour is hand-applied, unlike with other colouring techniques. The colour is swept through your hair, not to the root, and without harsh lines. The shades match your hair colouring to produce a wholly natural effect. Balayage is great for anyone, particularly those who have not had their hair coloured before. It’s not a drastic change, rather a more-subtle colouring, bringing out your natural tones. Balayage can be applied to any hair colouring, it really doesn’t matter. It is also great for grey hair, and can cover up the grey strands. 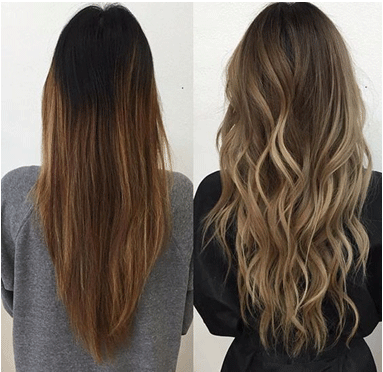 How is Balayage different to highlights and ombré? Balayage is subtler than highlights, highlights give a uniform colouring, whilst balayage is less obvious, blending in with your natural tones. There are no defined regrowth lines with Balayage. Ombré on the other hand is a gradual lightening of hair, typically starting darker at the roots becoming lighter toward the ends of hair. Unlike Balayage, ombré often requires the hair to be bleached, depending on how light you want your hair.